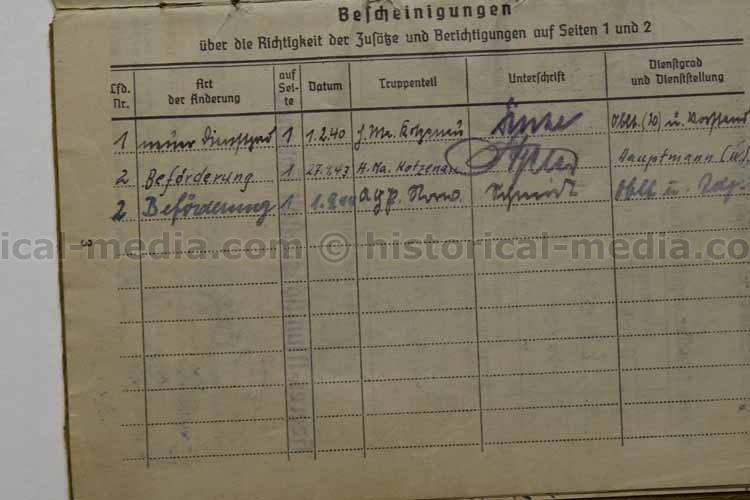 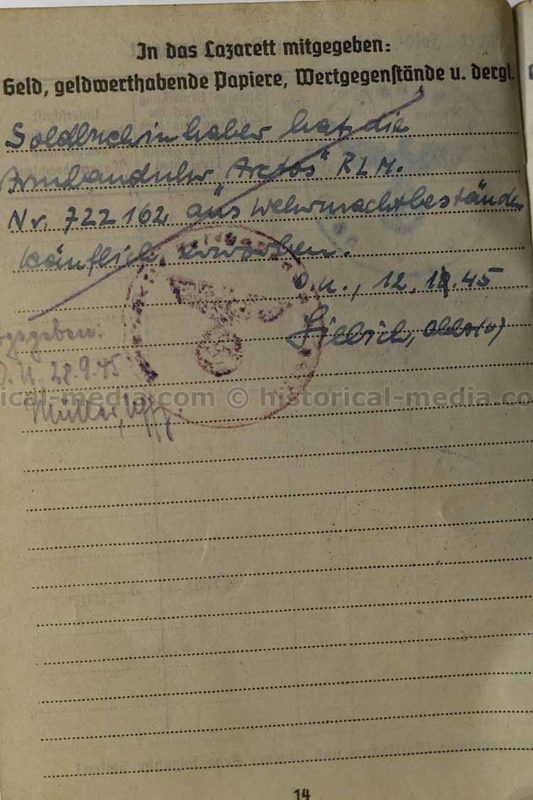 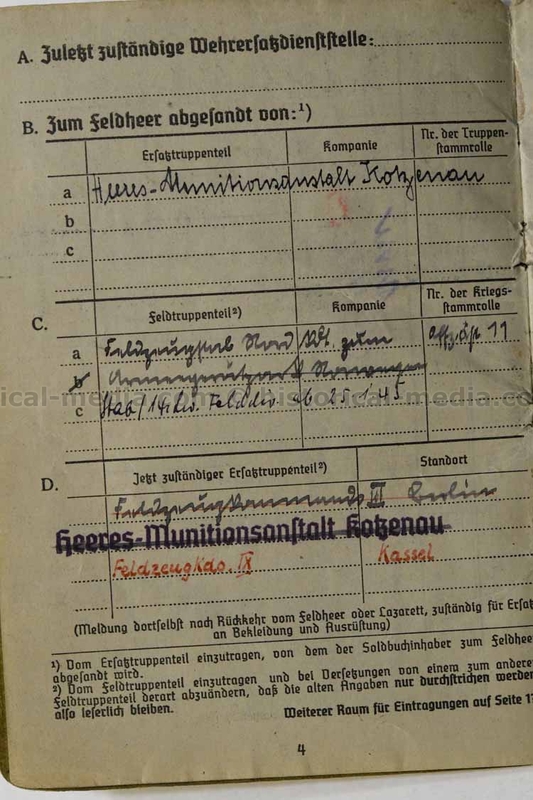 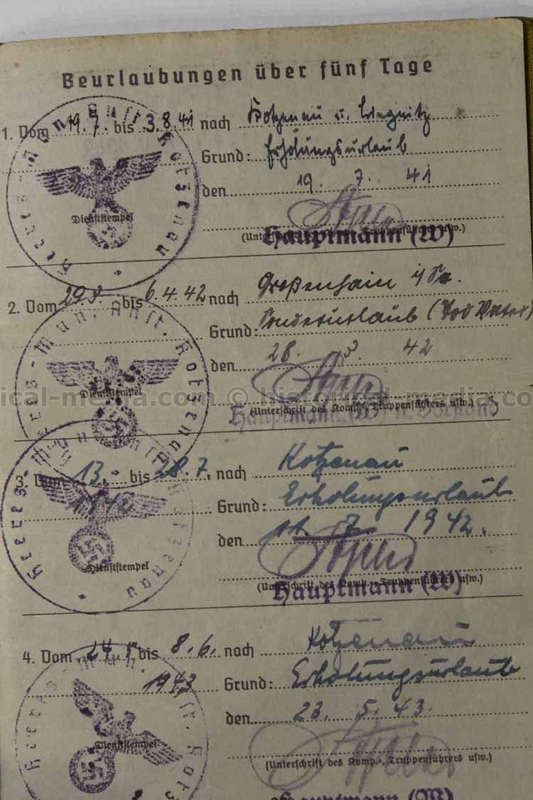 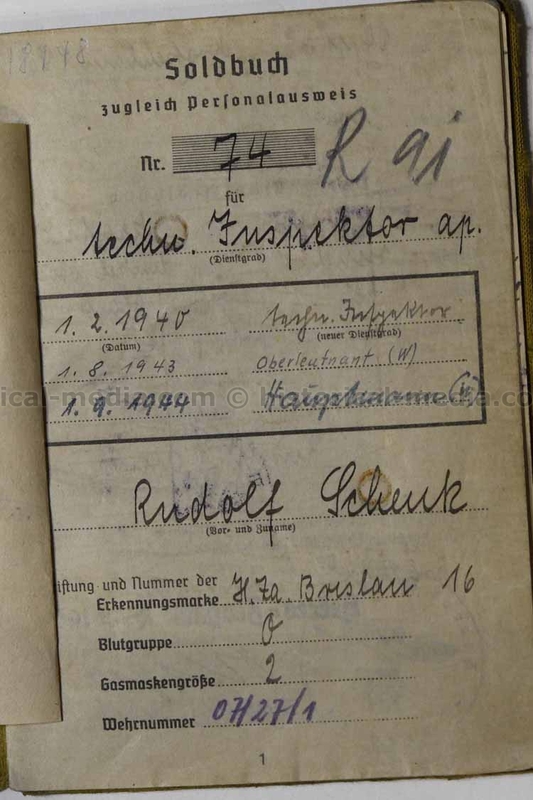 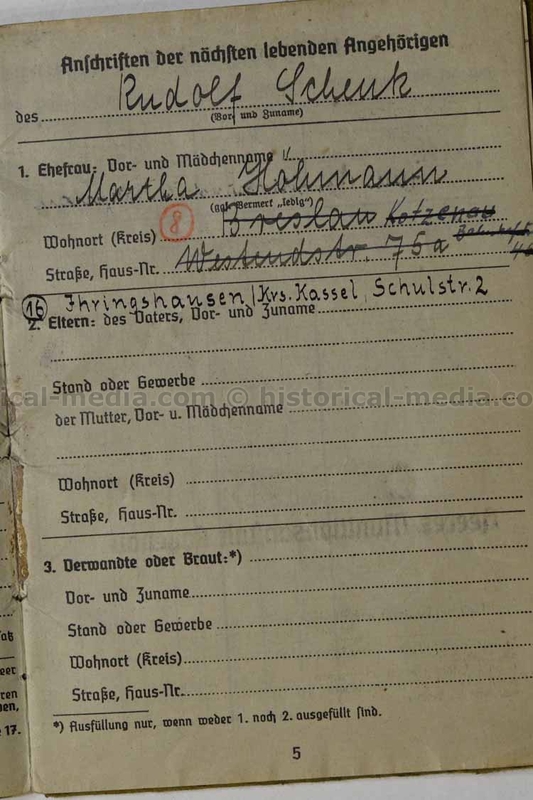 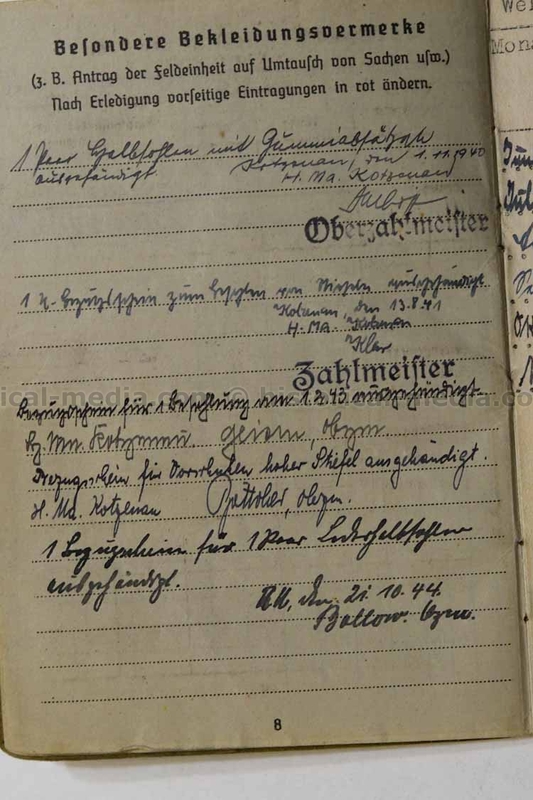 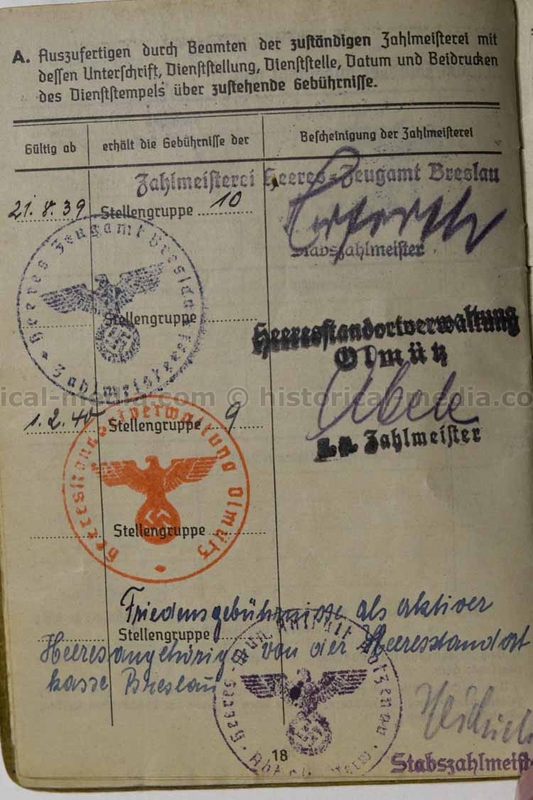 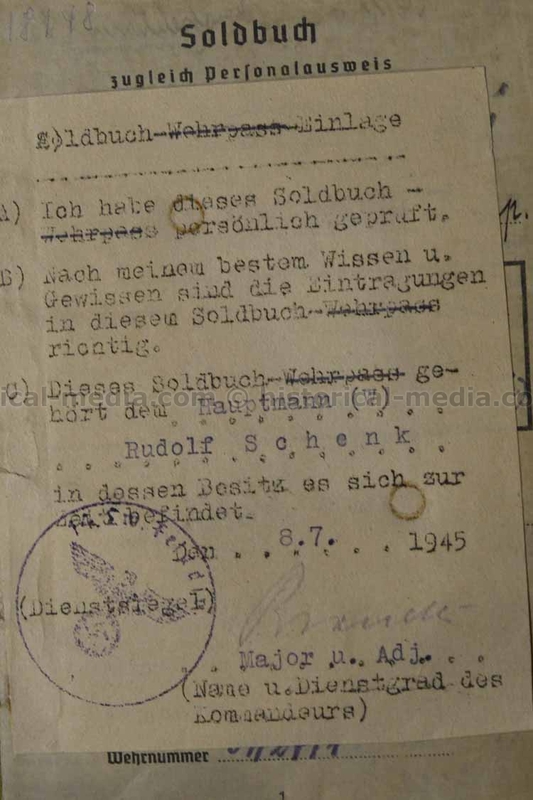 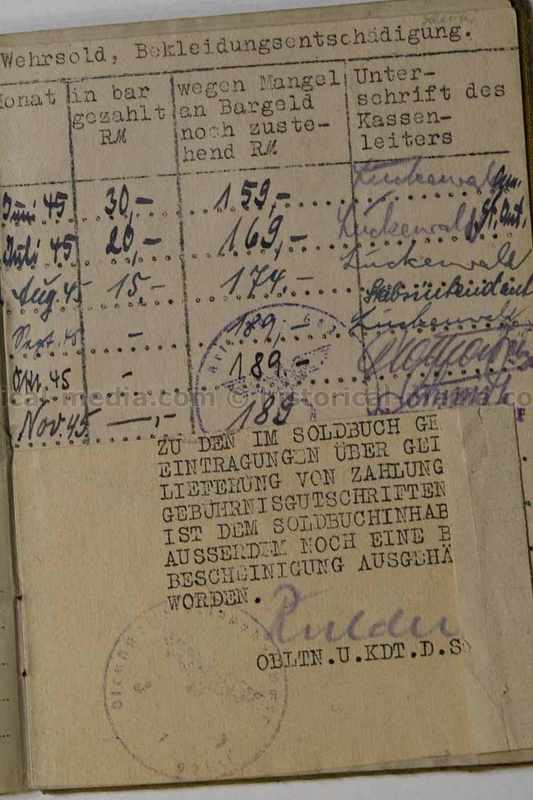 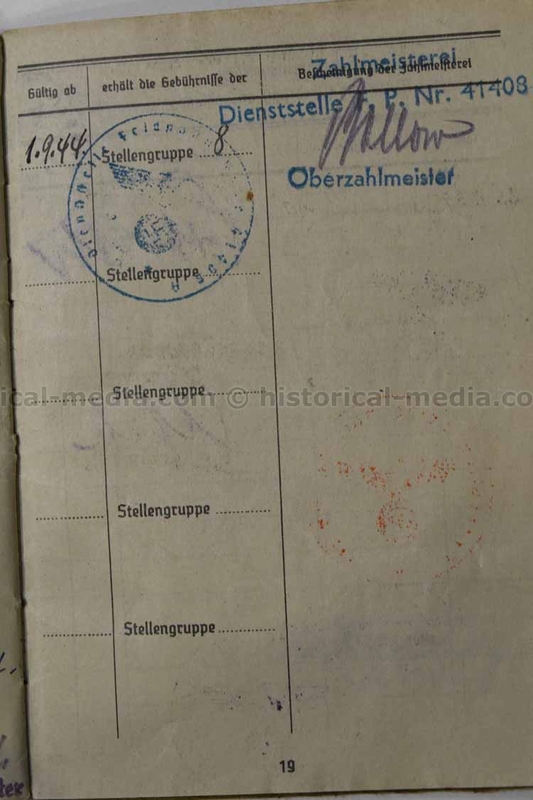 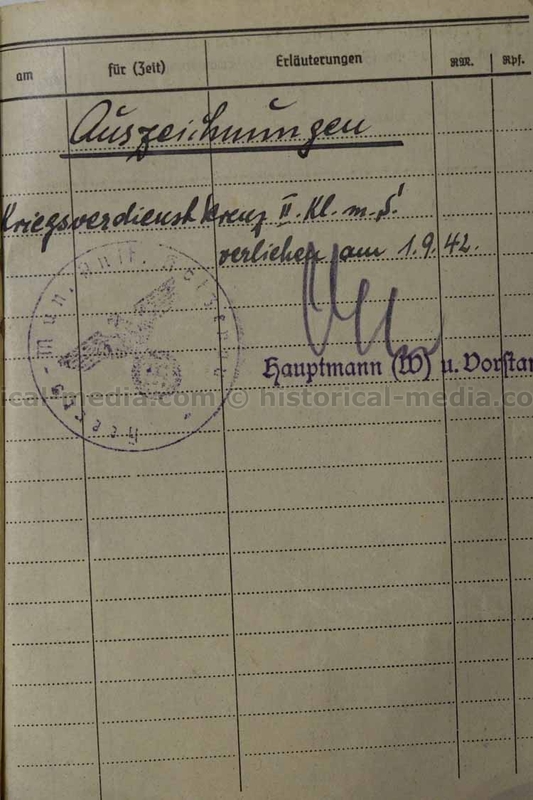 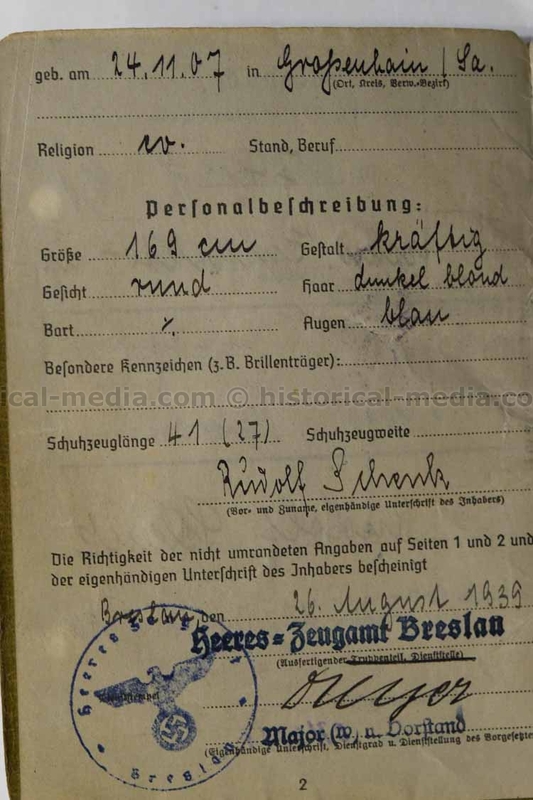 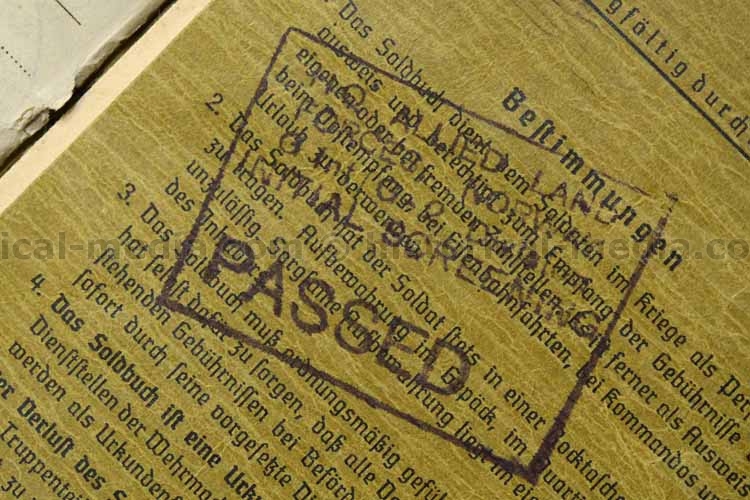 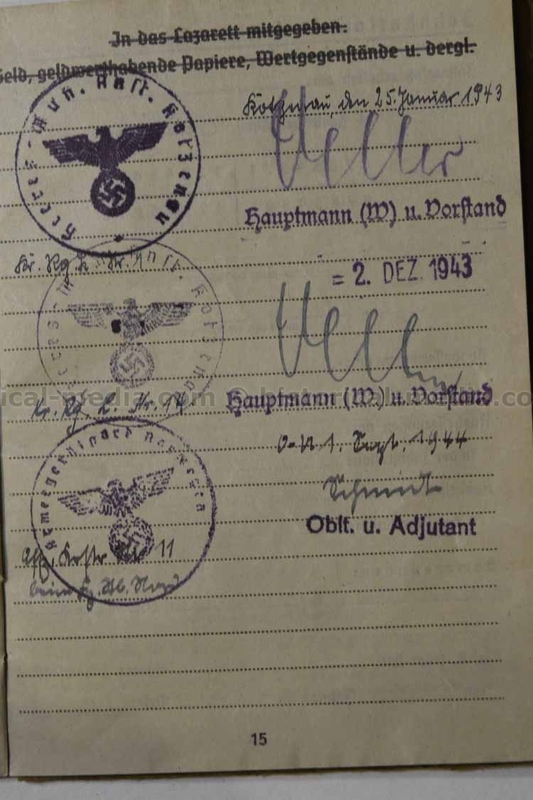 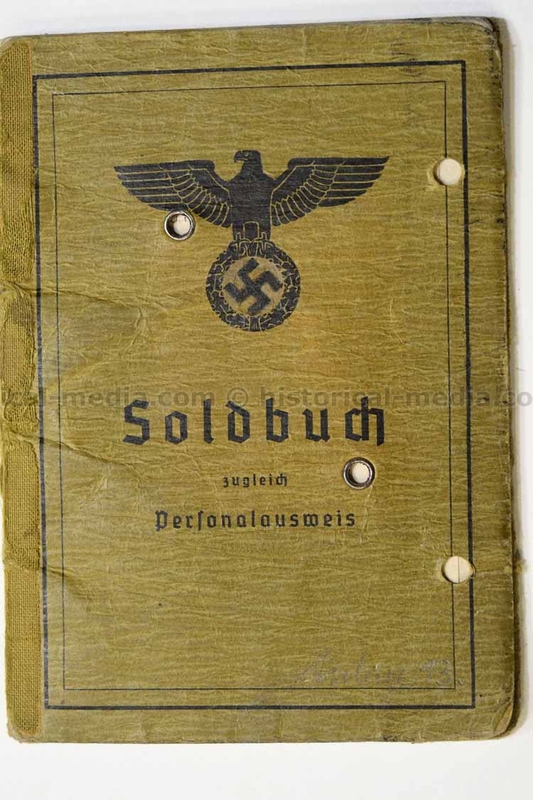 Original Soldbuch of Hauptmann Rudolf SCHENK. 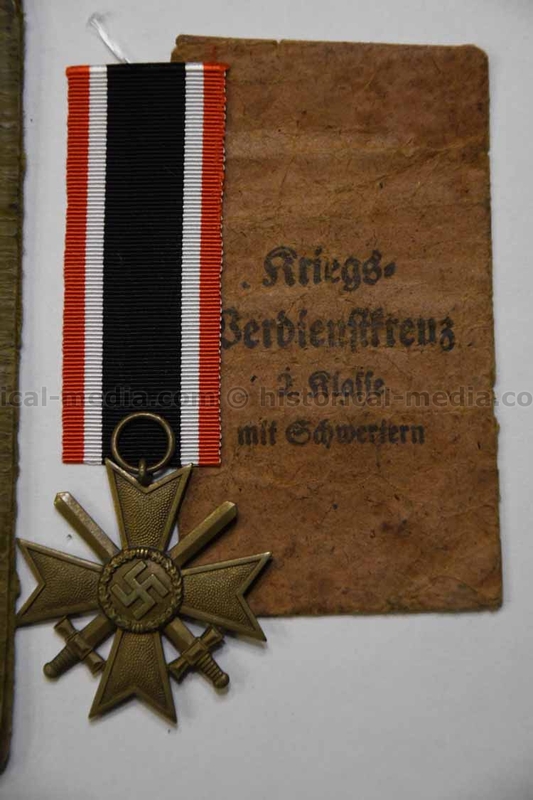 He served in the Stab of the 14. 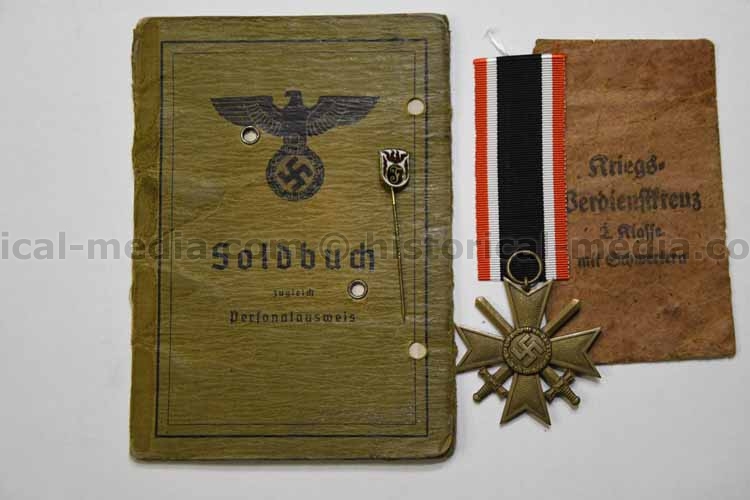 Luftwaffe Feld-Division! 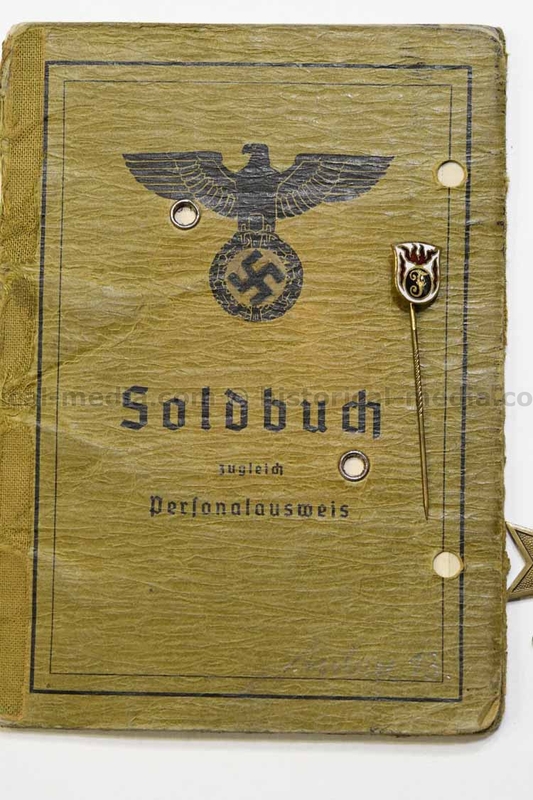 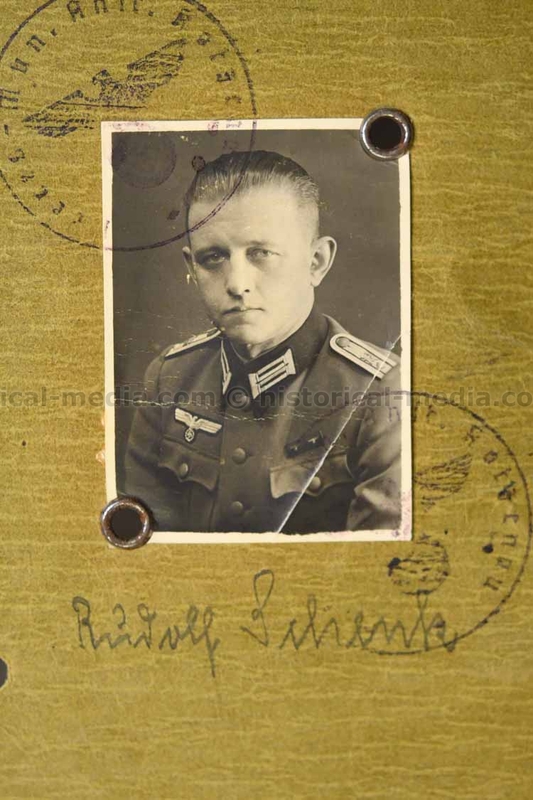 Soldbuch is complete with a great uniform photo, all pages present, awarded the KVK2, and comes with the medal and award packet. 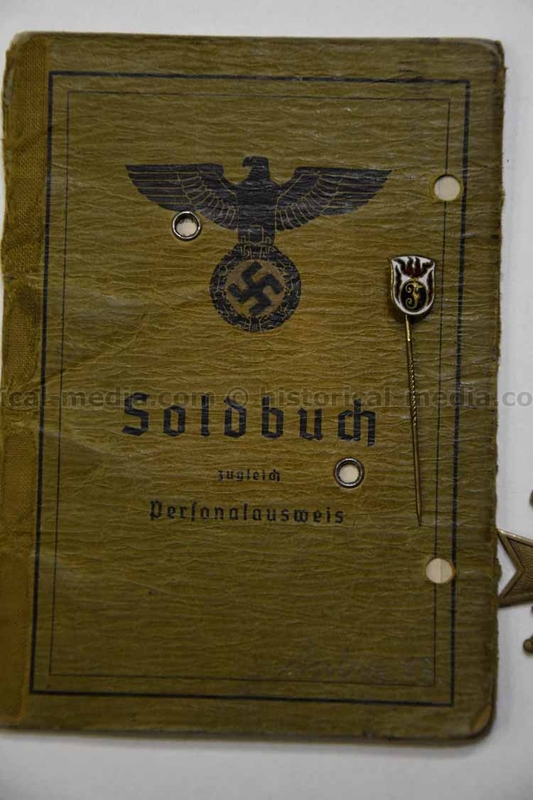 Also comes with some type of unit stickpin. 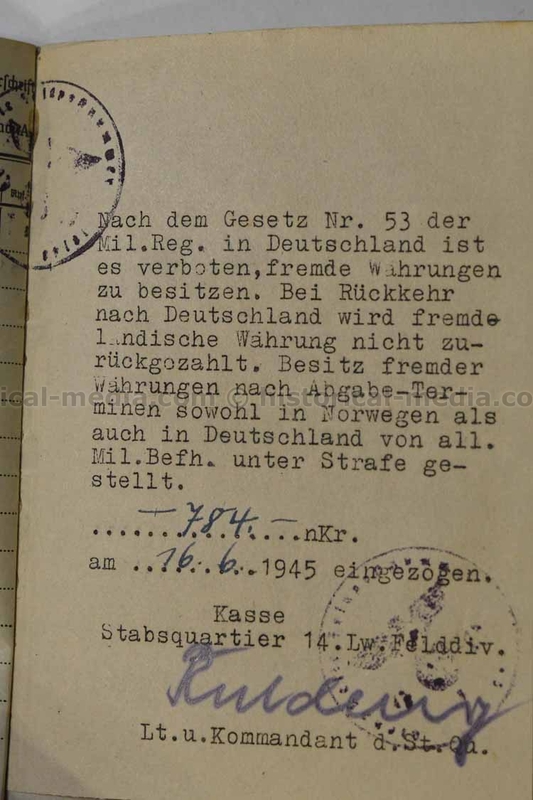 He appears to have spent the majority of his service in Norway.